Chemical structure of monacolin K (lovastatin). H indicates hydrogen; O, oxygen. Chemical structure of citrinin. H indicates hydrogen; O, oxygen. Marked Variability of Monacolin Levels in Commercial Red Yeast Rice Products: Buyer Beware! Background Red yeast rice (RYR) is a widely available dietary supplement used by millions of patients as an alternative therapy for hyperlipidemia. It contains 14 active compounds called monacolins that inhibit hepatic cholesterol synthesis. Although studies have suggested that some formulations of RYR may be effective and safe for lipid lowering, monacolin levels are not standardized among marketed products and are generally not published on labels. We evaluated monacolin levels in 12 commercial RYR formulations and tested for citrinin, a mycotoxin that is nephrotoxic in animals. Methods Each formulation of RYR was labeled “600 mg/capsule” of active product. Analyses for monacolins and citrinin were performed between August 2006 and June 2008 using high-performance liquid chromatography with mass spectroscopy–mass spectroscopy detection. Laboratory analyses of RYR products were conducted by ConsumerLab.com, White Plains, New York. Results There was marked variability in the 12 RYR products in total monacolins (0.31-11.15 mg/capsule), monacolin K (lovastatin) (0.10-10.09 mg/capsule), and monacolin KA (0.00-2.30 mg/capsule). Four products had elevated levels of citrinin. Conclusions We found striking variability in monacolin content in 12 proprietary RYR products and the presence of citrinin in one-third of the formulations tested. Although RYR may have potential as an alternative lipid-lowering agent, our findings suggest the need for improved standardization of RYR products and product labeling. Until this occurs, physicians should be cautious in recommending RYR to their patients for the treatment of hyperlipidemia and primary and secondary prevention of cardiovascular disease. Cardiovascular disease is a leading cause of death worldwide, and hyperlipidemia is an important modifiable risk factor for its development. Although statins and other proven prescription lipid-lowering therapies have been available for decades, many patients seek alternative therapies to lower their cholesterol levels. Herbal and other natural ingredients that have been studied and remain controversial include policosanol, chromium, eggplant extract, garlic, and guggulipid.1-6 Chinese red yeast rice, also known as Hong Qu, is a medicinal agent and food colorant made by culturing a yeast, Monascus purpureus, on rice. This process, when performed under sterile and controlled conditions, produces a group of compounds called monacolins that inhibit hydroxymethylglutaryl-coenzyme A (HMG-CoA) reductase, the rate-limiting step in hepatic cholesterol synthesis. One of the first commercially available HMG-CoA reductase inhibitor compounds was monacolin K (MK) (Figure 1), initially isolated by Endo7 from Aspergillus species in 1979, then later purified and marketed as lovastatin. Because of these positive studies and increased interest from the public and the media, red yeast rice has been recommended by health care practitioners, and patient usage has increased dramatically. In 2008, American consumers spent $20 million on this dietary supplement, an 80% increase compared with 2005.14 However, to avoid being considered an unapproved drug by the FDA, red yeast rice manufacturers typically do not disclose levels of lovastatin or other monacolins in their products, and there is no standardization of these levels across manufacturers. Consequently, there may be considerable variation in the composition of monacolins in red yeast rice products from different manufacturers and discrepancies between label information and actual content.15 Thus, it is unclear if the positive results of these studies can be generalized to all red yeast rice products. We hypothesized that there is great variability in active constituents of commercially available red yeast rice products. We compared 12 commercial red yeast rice formulations and analyzed them for monacolin content and the presence of citrinin (CN) (Figure 2), a potentially nephrotoxic mycotoxin. Twelve commercial red yeast rice products were purchased and sent for analysis. They are listed, along with their manufacturers and the Web sites where they were purchased, in Table 1. They are representative of commonly sold formulations available in the United States. Products were purchased online from retailers, catalogs, multilevel marketing companies, or directly from the manufacturer. Analyses for lead were first performed on representative composites from each product using an inductively coupled plasma-mass spectroscopy method in an independent laboratory. If any product was found to have an unacceptable level of lead, it was retested using the same method in a second independent laboratory. Disintegration of nonchewable and non–time release formulations were analyzed according to United States Pharmacopeia (USP) recommendations. All analyses were conducted under the direction of ConsumerLab.com. In reporting the results, we focused on the amount of total monacolins (TM), MK (lovastatin), and the hydroxy form of MK (MK A, hereinafter “MKA”) in each formulation. The products are identified by letters herein and not by their proprietary names. Only 1 lot of each product was tested; therefore, no data were collected about the variability of monacolin levels within various product lots. The levels of TM, MK, MKA, and CN in each product are summarized in Table 2. There was marked variability of TM (0.31-11.15 mg/capsule), MK (0.10-10.09 mg/capsule), and MKA (0.00-2.30 mg/capsule) in the 12 formulations tested. Product F had very low levels of monacolins per capsule (TM, 0.31 mg/capsule; MK, 0.10 mg/capsule; and MKA, 0.00 mg/capsule) but the highest levels of CN (189 μg/capsule). Four of the 12 products had elevated levels of CN. Table 3 summarizes the daily amounts of TM and CN that patients would ingest if they followed the daily serving recommendation on each respective bottle. The mean (SD) dose of lovastatin (MK) was 6.0 (4.6) mg/d with a maximum dose of 14.5 mg/d. The mean (SD) dose of lovastatin plus its hydroxy form (MKA) was 9.0 (7.2) mg/d with a maximum dose of 19.4 mg/d. Table 4 summarizes the amount of other monacolins (other than MK and MKA) that were present in each of the 12 products. Levels of the other monacolins were quite low, with none exceeding 1 mg/capsule. None of the products exceeded the California Proposition 65 contamination limit for lead (0.5 μg/d). All standard (nonchewable and non–time release) tablets were found to disintegrate properly. Our study used an independent testing organization to quantify the monacolin content of 12 commercially available red yeast rice products. We found dramatic variation in active ingredients (monacolin levels), and one-third of the products contained the potential nephrotoxin CN. In May 1998, the FDA ruled that Cholestin was not a dietary supplement but an unapproved drug. The ruling was affirmed in March 2001, and Pharmanex removed red yeast rice from Cholestin.24 Since that ruling, the FDA has written warning letters to several other dietary supplement manufacturers to remove drug claims or eliminate red yeast rice with high lovastatin levels from their products, including Heart and Cholesterol (Mason Vitamins, Miami Lakes, Florida) in 2001, Cholestrix (Sunburst Biorganics, Baldwin, New York), Red Yeast Rice and Red Yeast Rice/Policosanol Complex (Swanson Health Care Products Inc, Fargo, North Dakota) in 2007, and Red Yeast Rice (Nature's Way Products Inc, Springville, Utah) in 2008. Despite these actions by the FDA, red yeast rice products remain widely available to the public as dietary supplements in pharmacies, supermarkets, health food stores, vitamin stores, and on the Internet—although levels of lovastatin or other monacolins are not generally listed on product labels. This study's most important limitation is the possibility of batch-to-batch variability of the products we tested. Our approach was to test samples from a single lot of each product, representing the same experience encountered by a consumer purchasing a red yeast rice supplement. Because of limited governmental oversight and variable quality control by manufacturers, monacolin content of different red yeast rice products may differ dramatically from bottle to bottle. Thus, the levels of monacolins and CN for the products we tested should be considered specific to the batches we tested. It is possible that current good manufacturing practices specific for dietary supplements, phased in from 2007 to 2010, may have reduced the chance of batch-to-batch variability.29 However, this regulation would not be expected to reduce brand-to-brand variability because the law allows each manufacturer to set its own standards regarding ingredient composition. It is also possible that the ingredients of tested formulations may have changed since we analyzed them. At least 1 formulation has substituted a phytosterol ester complex and policosanol for red yeast rice and renamed the product since it was tested. Unfortunately, there is no way of determining how many red yeast rice products are available to consumers in the United States. Our cursory review of formulations available on the Internet from sites like amazon.com, vitaminshoppe.com, drugstore.com, ebay.com, etc, yielded 31 different proprietary red yeast rice products. Our analysis was not a thorough product review but a snapshot of commonly available red yeast rice products. A more thorough and structured survey could be done in the future. One-third of the products tested were contaminated with CN, a mycotoxin produced by several Monascus, Penicillium, and Aspergillus species found in poorly manufactured red yeast rice products. Citrinin has been shown to be mutagenic at concentrations of 0.2 to 1.7 μg/g in Salmonella hepatocyte assays38 and can cause kidney failure in animals with a median lethal dose (LD50) of 35 mg/kg.39 Although its effects on humans is unknown, it has been found to be genotoxic in cultured human lymphocytes at high concentrations.40 Further research is necessary to elucidate the possible adverse effects of CN in humans to place our findings in the proper context. Our results highlight an important issue with red yeast rice and many other alternative medicines: the lack of standardization of active constituents. Standardization of ingredients is difficult for several reasons: (1) There are variable growth and/or culture conditions and differences in harvesting and processing among manufacturers; (2) medicinal agents from natural sources are complex substances with many chemical constituents, many of which have unclear roles in their pharmacologic activity; and (3) different manufacturers may standardize products to amounts of 1 or 2 chemicals thought to be active ingredients, while other constituents are not standardized and may also have biologic and pharmacologic activity. In summary, red yeast rice has been used for centuries for its medicinal properties and is an increasingly popular alternative lipid-lowering therapy that may benefit patients with a history of coronary disease who cannot take statins,25 subjects who refuse statins or prefer a “natural” approach to pharmacotherapy, or patients with a history of statin-associated myalgias.12,27,28 However, our study found dramatic variability of monacolin levels in commercial products and the presence of CN in one-third of formulations. Further oversight and standardization of the production and labeling of red yeast rice products may address some of the concerns raised in this study. Until these issues are addressed, physicians should be cautious in recommending red yeast rice to their patients for the treatment of hyperlipidemia and primary and secondary prevention of cardiovascular disease. Correspondence: Ram Y. Gordon, MD, 1722 Bethlehem Pike, Flourtown, PA 19031 (ram.gordon@gmail.com). Author Contributions: Dr Gordon had full access to all of the data in the study and takes responsibility for the integrity of the data and the accuracy of the data analysis. Study concept and design: Gordon, Cooperman, and Becker. Acquisition of data: Gordon, Cooperman, Obermeyer, and Becker. Analysis and interpretation of data: Gordon, Cooperman, and Becker. Drafting of the manuscript: Gordon and Becker. Critical revision of the manuscript for important intellectual content: Gordon, Cooperman, Obermeyer, and Becker. Administrative, technical, and material support: Obermeyer. Study supervision: Gordon and Becker. 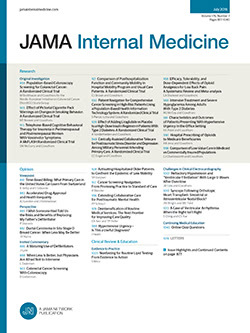 Additional Contributions: Y. Jerold Gordon, MD, provided thoughtful comments and review of the paper; he was not compensated for his contributions to the manuscript.